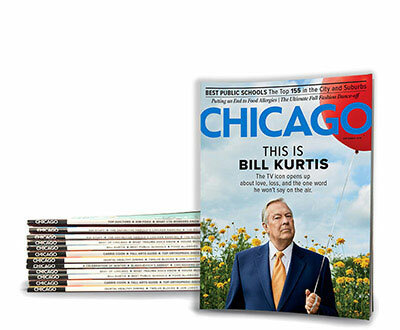 Subscribe and save 80%* off newsstand. Subscribe and save 82%* off newsstand. Subscribe and save 77%* off newsstand. 24 Print + Tablet Issues for $28 - Best Deal!! Interested in a digital-only subscription? Yes, please send me Chicago magazine newsletters and select promotional materials. HAVE QUESTIONS? 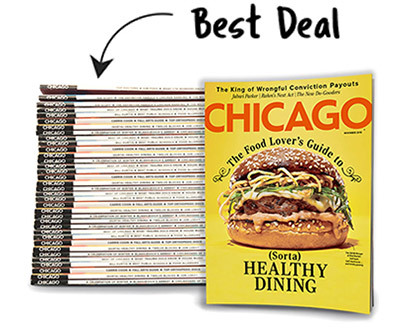 Contact us at 800-999-0879 or email delivery@chicagomag.com. OUR CONTINUOUS SERVICE GUARANTEE: As a valued subscriber, you will enjoy continuous service, unless you tell us to stop. We will send you a reminder prior to charging the credit card we have on file for you. You have the unconditional right to cancel any time for a full refund of all unmailed and undelivered issues, no questions asked. MONEY-BACK GUARANTEE: If you are ever dissatisfied with your subscription for any reason, you may cancel and receive a full refund for all unmailed issues. 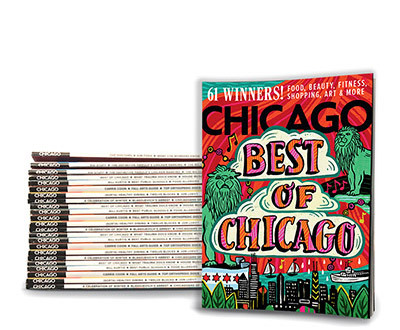 Copyright © Chicago magazine. All Rights Reserved. Reproduction in whole or in part without permission is prohibited. *Savings based on the annual newsstand rate of $71.88 when you pay the $19.90 basic subscription rate. *Savings based on the 3 year newsstand rate of $197.67 when you pay the $36 subscription rate. *Savings based on the annual newsstand rate of $65.89 when you pay the $12 special introductory rate. *Savings based on the annual newsstand rate of $65.89 when you pay the $14.95 special introductory rate.